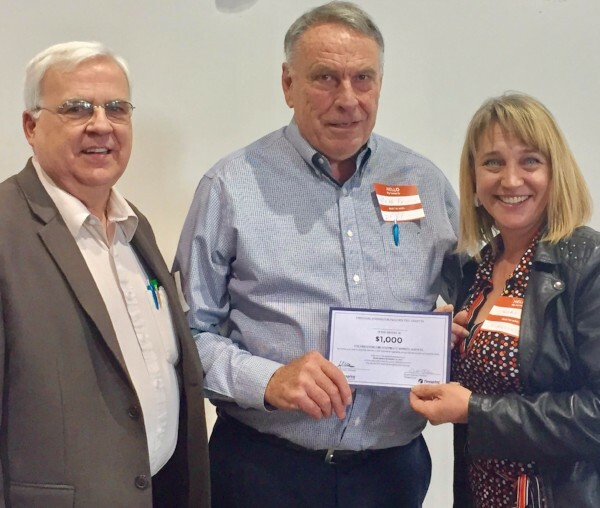 Pictured receiving a $1000 grant from (right) Lori Kadavy, Firespring Director of Nonprofit Education and Outreach on November 16 in Columbus, OH: (left) Arthur L Deisher, Association Director of Membership Development and (center) Keith Ferris, Association Vice President. The grant monies will be used toward website enhancement as the Association works toward completion of their new reactive custom design website. The award was presented at a Firespring seminar on November 16, 2016 in Columbus, OH.